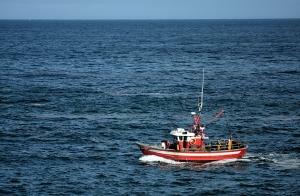 Are you looking for fishing boat jobs in Oregon? Do you feel that your big city life needs a huge change in scenery and pace? Maybe you're a fisherman already and are looking for a summer or fall job to carry you through the next season. Whatever your reasons, this guide will assist you in finding the best sites to search for fishing boat jobs in Oregon and also will give you some additional information if you are a rookie to the industry to help you get started. You have two basic choices when considering fishing boat jobs. Boats fishing near the shore focus on smaller fish like salmon and herring. These boats are often small, usually no larger than 60 to 70 feet long. Not as many skills are required on the near-shore fishing boats as the larger off-shore vessels and are a good place to start in order to gain some experience. Acquiring a job on this type of boat can be difficult. The main reason is that these types of jobs are usually independently owned and are often family businesses. Sometimes, the crew for a near-shore boat is small, averaging two to six. Crews are hired well in advance of the start of fishing season. Having a good reputation or knowing the family who owns the boat is the key to getting a job on a near-shore fishing boat. The off-shore vessels are larger boats designed for long trips further out in the waters. You can find boats ranging from the modest 50 feet to over 300 feet long. These boats focus on the bottom fish or whitefish and shellfish. You might also work on cages that snag crabs if the boats house that kind of equipment. Boats of this type are either independently operated or owned by fishing corporations. Regardless of ownership, job listings are usually publicized online or with local Oregon employment recruiting organizations. Most of the time, if you decided to work on an off-shore fishing boat, you will be hired as a "factory worker," which is below deck. Cooking, cleaning and processing fish are typical below deck jobs. Over time, you can be promoted to work on the deck. Local Recruitment Agencies: One of the best ways to find a fishing boat job in Oregon is to contact recruitment companies in Oregon. Most cities have a main web page you can visit or you can search the online yellow pages for employment services. Visit a map of Oregon and check out the cities along the coast. Many fishing boats anchor in the major port cities and the skippers often place ads in newspapers or use employment services to find crew members. Local Newspaper Employment Ads: Another way related to the above option is to visit the online versions of Oregon's newspapers. For a list of newspapers in Oregon, visit United States Newspaper Listing. Commercial Fishing Forum: Finally, check out the forum at Commercial Fishing.org. You can look for jobs this way or even post that you are looking for a job yourself in Oregon. The forum users may direct you to a site or a company that is hiring for the job and location you want. Whatever way you find a fishing boat job, make sure you have all the right equipment to stay safe. Most boat jobs require workers to buy tier own equipment like rubber boots, gloves and wet weather gear. When hired as a deckhand or other job, ask what equipment you'll need so you can be safe and continue the job as the season goes on.